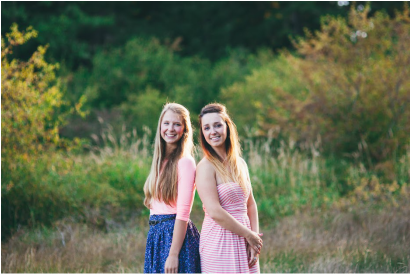 We are Early Childhood Educators on a mission to help ease the stress of your big event. ​After attending different events we started thinking, "How can we make these events just as exciting for the children as they are for adults?"... That's when Tiny Feet Event Sitters was born, and we are so excited to offer a service so the little ones can have some fun too! Providing games, books, puzzles, crafts, Lego, colouring and much more. Francesca has been working with children for over 15 years. She moved to Canada from England in 2012 and graduated with her Early Childhood Education Diploma from Vancouver Island University in 2014. She has her Special Needs and Infant Toddler certification and has worked at a number of daycares and preschools throughout Nanaimo. After graduating, she decided to continue her studies to become an Elementary teacher. She graduated from the Bachelor of Education program in 2017. She continues to attend workshops to better herself and keep current on the changes that are happening within the ECE world. Children are her passion and she believes being able to watch them grow is a privilege. Julie has been working with children for as long as she can remember. She started working with children in her home town in the Kootaneys, working with families and teaching a number of different preschool dance classes. Julie moved to Vancouver Island in 2011 and graduated with her Early Childhood Education Diploma from Camosun College a few years later. Julie has worked at a number of different daycares, summer camps and preschool programs across the Island, and it was through these experiences that Julie decided to return to school to complete her degree in Child and Youth Care. Julie still attends many different conferences and workshops within the ECE world to stay current and up to date. Julie believes any experience working with children is a privilege and she is excited for the new adventures ahead. Together Julie and Francesca both have their Child Safe First Aid and Tiny Feet is insured for your event.